When I walk through Omotesando on business I’m curious to see what is going on in Omotesando Hills and look at the many interesting people on the street. So I had never walked through Aosando until I visited this art fair, but no wonder. “Aosando” was recently named for the area between Aoyama-Dori and Omotesando. 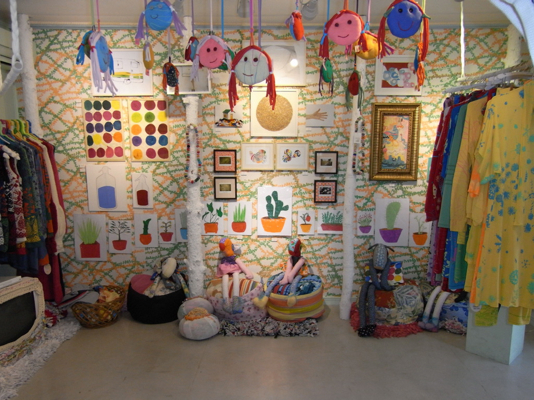 In Ansando Art Fair 2008 followed by the one in 2007, shops on the street were transformed into little galleries. The concept was “from main street to side trip”, which added a touch of color to original shops. Don’t make little of this small art fair. 25 great artists joined it including: Makiko Tanaka, Nigel Scott, OEIL, Generate Presents: Limited Editions by Design’s Rising Stars, Davide Savorani, Ante Vojnovic, Mariana Cortes, Anamachy Painting, Kazuto Sahara, Daisuke Nagaoka, Touko Okamura, Kazuma Koike, Annne-Valerie Dupond, Natsuki Otake, Takuma Uematsu, TAKA, Traer Scott, Yasutaka Botan, Tomoe, Takayoshi Kitagawa, Tadaomi Shibuya, CHRISTOPHE COPPENS, Daisuke Honike/Sakuto Honike, and Miri Ban. In addition, The Artists Who Love Mickey & Minnie、From Scotland With Love (in Omotesando Hills) and Emerging Directors Art Fair “ULTRA” was held around the fair. The Main Stage was H.P.DECO, a shop dealing with imported items, furniture, flower and art. 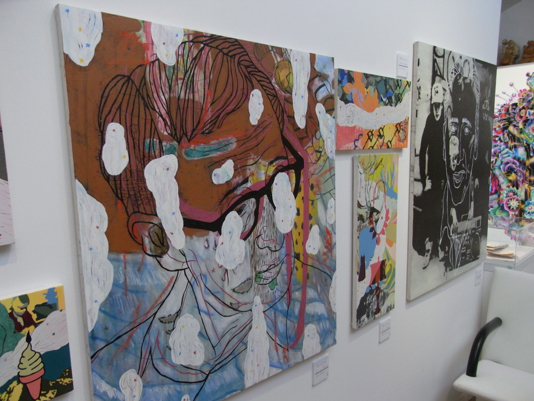 During the fair, a lot of works were exhibited on the 1st floor. In Fact, the representative of H.P.FRANCE operating shops in Aosando as well as H.P. 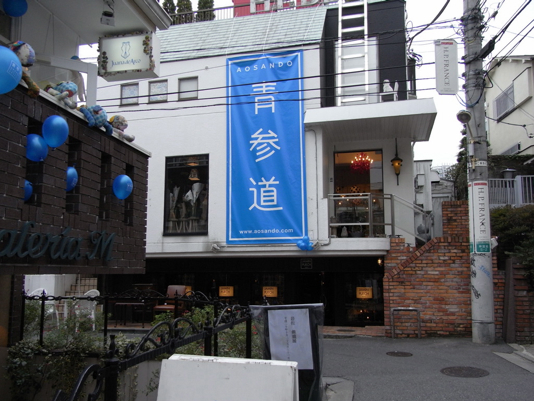 DECO, named Aosando which led to the revitalization of the whole area. The word “revitalization” may remind you of corny and stale images like a town development project through art, but don’t get it twisted. In Aosando, There are shops dealing with clothing and lingerie imported from Argentina, and ones selling those things from Berlin, Brazil, France and Belgium. A pasta restaurant and cute grocery shop are also in the area. Never outmoded and never halfway. 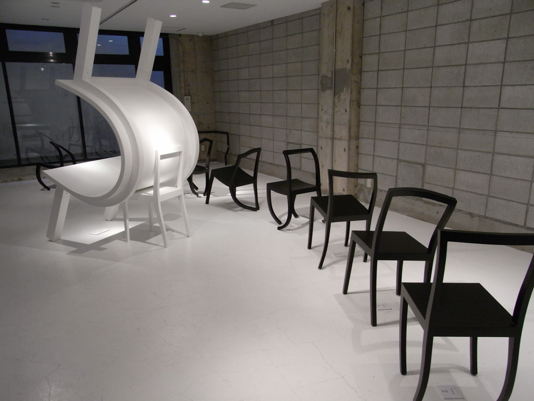 In a sense, it is worthy of the street between Omotesando and Aoyama-Dori. Then, what can art do there? I’m not a guy who is familiar with fashion, so I seldom visit such kinds of shops. 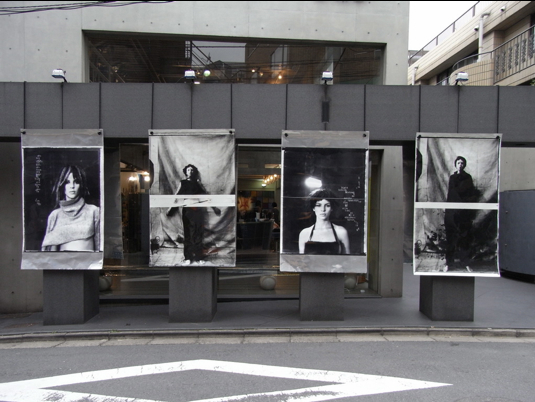 But, knowing that in the shops are art, I unhesitatingly went into them to see the various works. 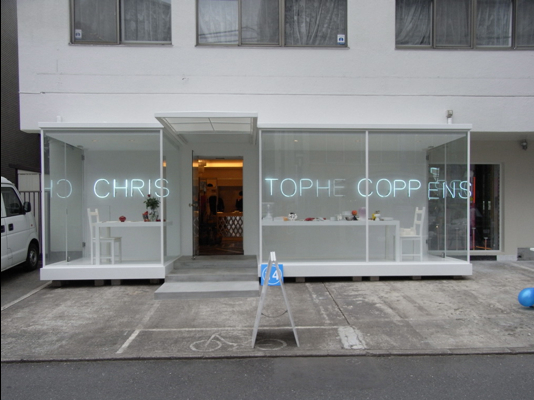 While there, I talked with the staff – looked around and did some window shopping. Though I went there to see the art, the other things in the store also caught my attention. I realized that it’s good to take such side trips every once in a while. At the Aosando Art Fair you have to have a map with you and stroll around with it. Having the map will inevitably bring you new excitement to help you find another aspect of yourself and to communicate with others. It indeed takes a lot of courage to go a different route and this is quite natural because you’re setting foot in a world you have never been to. But, when you are courageous enough to turn a corner, you feel comfortable and find a new world waiting for you. Main streets are fascinating enough, but if you get somewhat bored, then turn the corner you don’t know what happy discovery you you may happen upon. Aosando is ideal place for such a side trip. Place: H.P DECO and more.